Recently, the Florida Supreme Court ruled that lenders can refile foreclosure cases against homeowners who are still in default, even if the case was initiated more than five years ago (i.e. past the statute of limitations). This effectively now gives banks in the state the right to bring cases back to life, meaning that delinquent Florida homeowners may now be getting foreclosure notices after years of delay (more than five years). This latest ruling effectively provides the lenders with as much leeway as they need to start foreclosure proceedings all over again, but it’s important to note that there are caveats to the ruling in terms of foreclosure defense. This ruling has left many homeowners concerned, as some experts have indicated that this could allow the banks to resolve open foreclosures and place more and more homes up for sale. In general, when homeowners stop making payments, many of them hope to get their mortgage modified. However, lenders have the option of, instead, filing a foreclosure action. Prior to now, many lenders or judges dismissed foreclosures filed due to technicalities, such as mortgage companies failing to have a witness in place for trial, or judges finding that homeowners had been improperly served foreclosure papers, etc. When lenders eventually refiled these cases, many homeowners challenged the refiling, arguing that the refiling violated the state statute of limitations. Just for the 2016-2017 fiscal year alone, the Office of the State Courts Administrator estimates that there will be close to 62,000 foreclosures filed statewide. This ruling may also add thousands of refiled cases onto this estimate, cases that were on hold until the state Supreme Court’s decision last month. Homeowners delinquent with their payments are now being advised to avoid contacting their mortgage companies to find out the status of their cases. However, it is also important to note that, although the ruling allows lenders to refile cases that were initiated more than five years ago, the lenders cannot actually collect on missed payments beyond that five-year window. In other words, if a homeowner defaulted in 2007 and the foreclosure was filed in 2008 (then dismissed), if the lender now refiles the case, the lender can only collect missed payments covering 2011 to 2016, not 2007 to 2011. 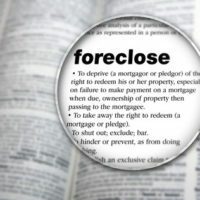 If a lender reopens a foreclosure case on a homeowner, they will need to work with an experienced attorney to ensure that the payments being sought cover the appropriate time periods and/or work with the lenders to settle these older cases, given how expensive the process of foreclosure can be. Many lenders would remark that they are eager to work with homeowners to help them keep their home. If you are dealing with a foreclosure issue, contact HD Law Partners right away to discuss your options with one of our experienced attorneys. With offices in both Sarasota and Tampa, we serve clients all over Florida. We’re here to provide you with options.